Crosman designed their Benjamin® Marauder PCP air rifle to hit a dime at 30 yards with more than enough power to cleanly kill a squirrel at 50 yards. 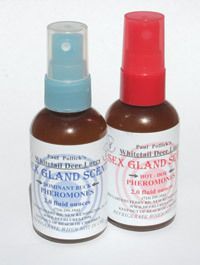 The .22 version launches pellets at up to 1,000 feet a second, the .177 at up to 1,100 ft/s. And it’s a 10-shot repeater. 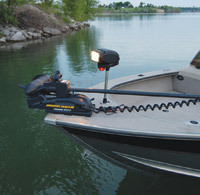 Like all PCP airguns, the Marauder draws power from a built-in air reservoir that may be charged from a high-pressure tank or with a heavy-duty hand pump. 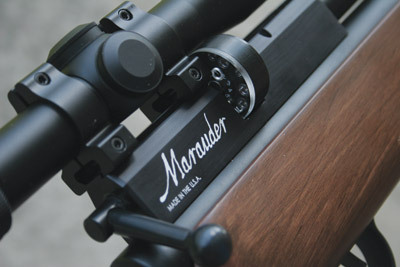 Unlike other PCP airguns, an optional adapter lets you also shoot the Marauder with CO2 cartridges. Crosman calls this Dual Fuel power. For performance and economy, however, the hand pump can’t be beat. The Benjamin Three Stage High Pressure pump (sold separately) produces pressures and velocities beyond what can be achieved with CO2 cartridges, and while you must buy the pump, the air is free. Pump up enough pressure in the reservoir and get 40 or more full-power shots before needing to pump again. The pull weight of the two-stage match-grade trigger is easily adjusted with an Allen wrench. Pellet velocity also may be adjusted. 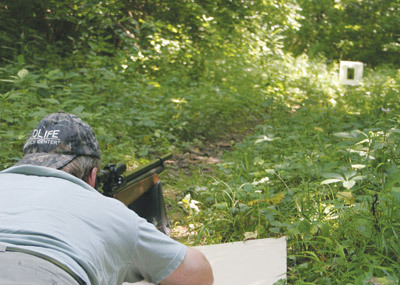 Set the rifle for a slower speed when target shooting and get more shots before needing to pump back up. Our test rifle came with the trigger pull set at 2.5 pounds and the velocity set for accurate hunting-speed shots with Crosman Premier pellets. Since this is how we would set up the rifle for small game, we saw no need to make any adjustments before shooting. There are no open sights. The receiver is grooved for mounting an airgun scope. 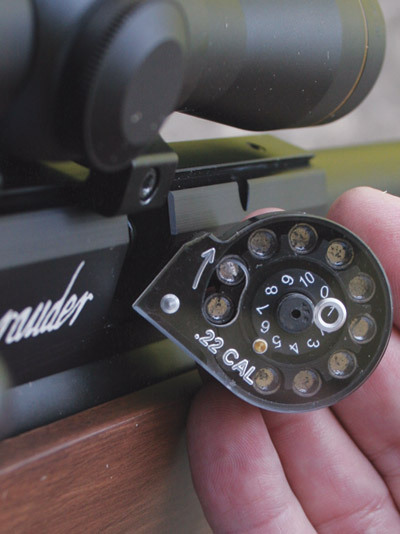 The grooves also accept 3/4-inch rimfire scope rings, and since a PCP doesn’t produce the damaging whipsaw back-and-forth recoil of a spring-powered airgun, we used a rimfire scope. Right out of the box, the gun held 10-shot strings at under MOA accuracy. The bolt action cycled repeat shots from the indexed rotary clips without a glitch. The 20-inch barrel is choked and also free floated for accuracy. A shroud surrounds the barrel to suppress muzzle blast and other firing noises.